The 2016 Cannes International Chess Open was held from 22-28th February at Rotonde Lérins in Cannes, France. The event consisted of three sections – Open A for players rated over 2100, Open B for players rated under 2200 and Open C for players rated under 1600. The main Open A tournament had 111 participants. 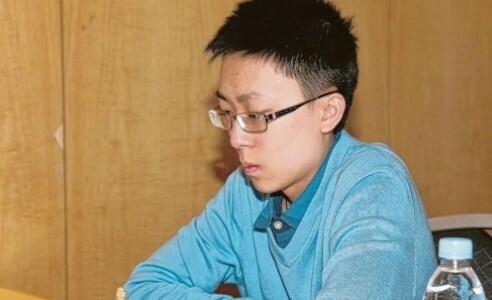 The 16-years-old GM Bai Jinshi from China edged the more experienced players to claim the top prize with 7,5/9 points. The total prize fund was 11,000 EUR. Photo by Klaus Steffan.